USA Today bestselling author Carolyn Haines is a recipient of the Harper Lee Award and the Richard Wright Award for Literary Excellence. 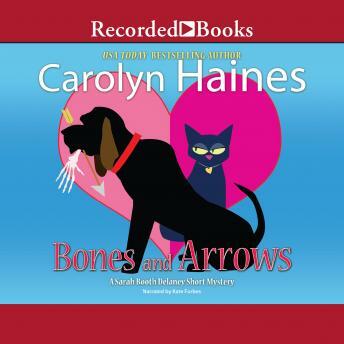 In "Bones and Arrows," a red-hot Valentine's party turns into a spellbinding-and dangerous-mystery for the Delaney Detective Agency. Ready for her own bed at Dahlia House, Sarah Booth reluctantly agrees to stay at Tinkie's chic Mississippi Delta costume party. But after all the guests are robbed, Sarah and Tinkie must wade through a sea of Roman gods and goddesses to unmask a cunning culprit.